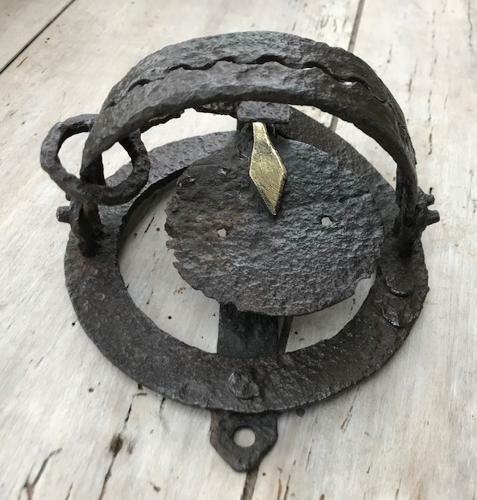 19th Cent English Pole Trap originally used to catch hawks and set on a post or pole hence the name. Now illegal to use it this is a larger size version and has 5 inch jaws and the spring is in working condition. Brass fittings.